Hi Everyone! It is a drizzy Monday morning here but this bright altered journal brightens up the day! I made this for my daughter…I want to give her something special as she is about to turn 10…not sure how that happened, but it did! I used to love writing when I was younger - journals, poems, etc. It helped during those teenage angst years to write down all the crazy and jumbled up feelings. I actually still have all my writings from those years though I have little desire to read any of it! LOL Anyway, I purchased a small 5x7 journal from Michael's and altered it using some newly acquired Pink Paisley goodies that I won - I am in love with the Citris Bliss collection - the colors are so bright and cheerful! I monogramed it with my daughter's initials using the Thickers from the collection - this gold is seriously gorgeous! 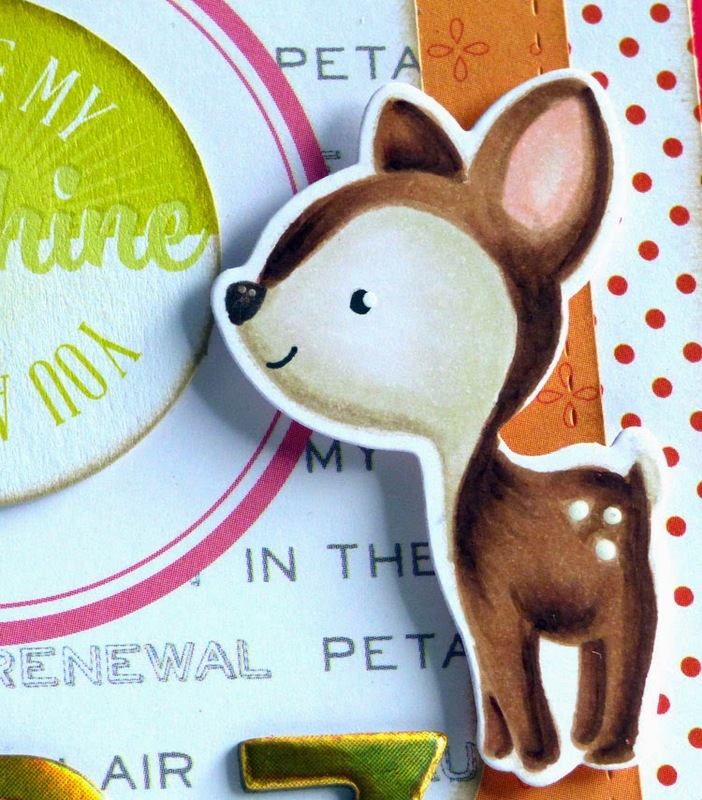 This deer is absolutely the cutest from the Wood Friends stamp set by The Greeting Farm. I stamped him first with Memento Toffee Crunch ink to color using the "no lines" technique with my Copic Markers. I really like how he turned out and I love the matching die for this stamp set to make fussy cutting a breeze! Thanks so much for stopping by today! If you liked my card and video, please click on the button below to subscribe to my blog so you don't miss a post! Hi! Could we use some of your video's on the TGF Blog? Please email me at islandergirlcreations@gmail.com Also, if you want to do future videos for us, please let me know. Thanks! Wow, I have GOT to try that no-line coloring; it looks really cool. Great card!